The “Blaues Kreuz Schweiz” is an organisation specialised in alcohol and addiction issues. They stand up for the prevention and people with addiction problems for over a century. With various measures the “Blaues Kreuz” tries every year to attract new potential donors. Based on the analysis of competitors, Enigma has developed a campaign concept for generating new contacts. Like most of social and nonprofit organizations, the budget was limited. Therefore, we at Enigma had to find an intelligent solution for it. On one hand, a multi-stage campaign with minimal interaction was created to secure a low inhibition threshold for participation. As a result, the message could be told in several steps. On the other hand, campaigns were built up with direct interactions to understand if the willingness to give the personal e-mail address actually exists. To find out which combination works best for the target group, we tested different pictures and text contents with using the method of A/B testing. This allows us to continuously optimize the campaigns. 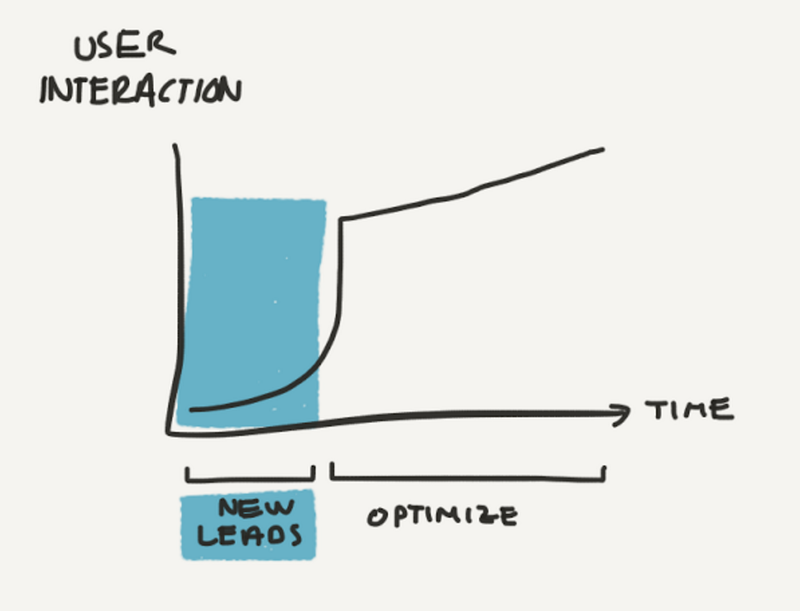 Several landing pages were used to have a better understanding of the user’s behavior. Due to clever retargeting, it was possible to address them several times. A competition was as well intended to require email addresses from the participants. Multiple variations with different micro-donation has additionally been tested. The facebook campaigns surpassed the initially defined KPI’s and shows significantly better results than previous campaigns. 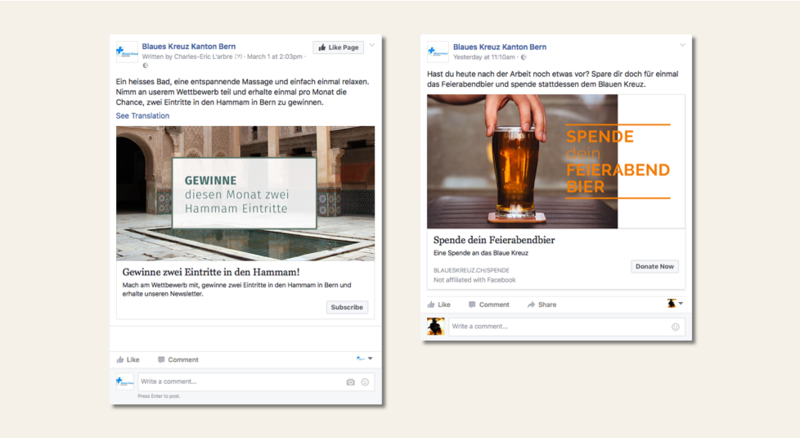 The “Blaues Kreuz” uses the large wide online presence to gain new addresses of donors as well as providing important insights of user’s behavior on facebook.